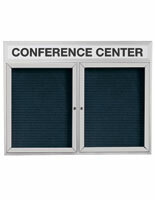 Are you in need of directory boards and signs for your business office building? 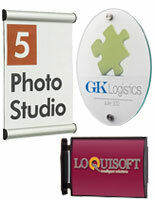 There are many different types of signage boards to use when directing visitors to their destinations throughout a building. 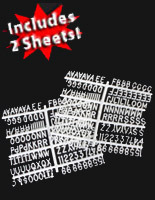 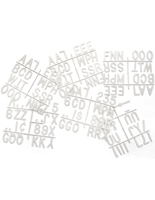 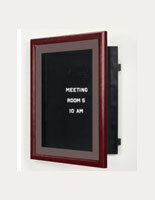 Replaceable letter board directories are popular because of the incredibly ease of use when replacing messages. 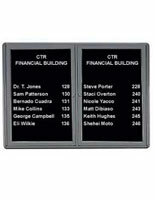 These building directory boards are also lockable to prevent tampering and unauthorized changes to your messages. 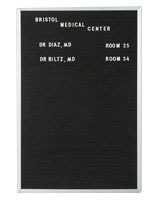 Medical facilities and doctors' offices use directory letter boards to keep everyone informed and are wall mountable so that it is not in the way in a high traffic area. Where can customers use directory board signs? 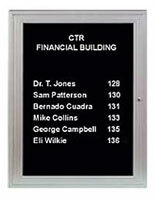 Our mountable sign boards are displayed on any walls to show different office numbers and locations. 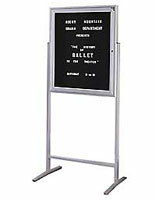 Floor-standing directory boards can be set up in any foyer or entrance to direct visitors upon entry. 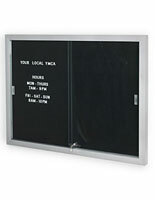 Directory sign boards with enclosed cases are commonly placed outdoors for the general public to see, yet the lockable design ensures they remain safe from tampering. 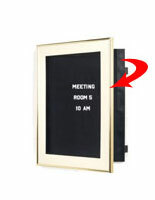 The changeable letter boards are so easy to use that updates take just minutes, which makes these signs great for any office, building, or other professional location. 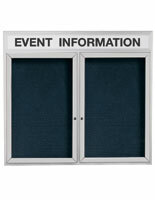 Whether you choose wall mounted directories or floor standing letter boards, they are sure to catch people's eyes while adding to the professional look of your location. 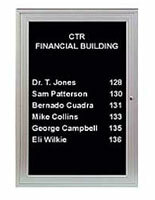 Universities, businesses, and other professional locations use directional or wayfinding signs directories to guide visitors and students to certain departments and faculty offices. 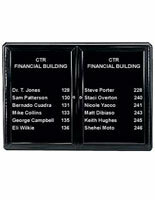 When in search of someone by name or department, lobby directories provide the ideal way to communicate office locations, yet are simple enough to install and won't break the bank. 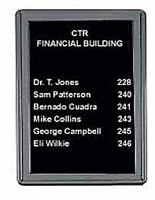 Each indoor information board features letters or printable sheets that allow for full customization, so you can use the directory displays at any business or educational institution. 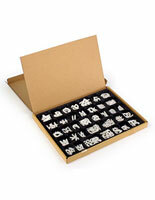 The design of each board has enough room to place not only people's names, but also their professions and location. 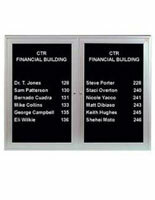 Staff lobby directories come wood or metal designs that mount easily on the wall or include a floor standing base. 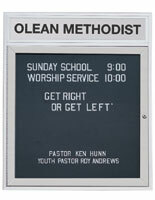 Add just one or several directory sign boards to your location to make sure all your customers and visitors can find their way around!